Denver students stand with sexual assault survivors | Fight Back! 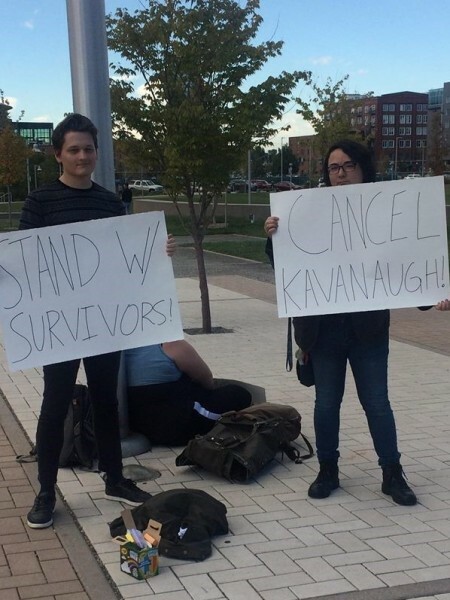 Denver, CO – On October 4, Denver Students for a Democratic Society (SDS) joined a nationwide protest against Brett Kavanaugh’s confirmation, which is scheduled for Saturday. The students gathered at the Auraria campus with signs reading, “Cancel Kavanaugh,” “Convict Kavanaugh” and “Stand with survivors.” Members also chalked the sidewalk with the same slogans, which remained long after the protest ended.